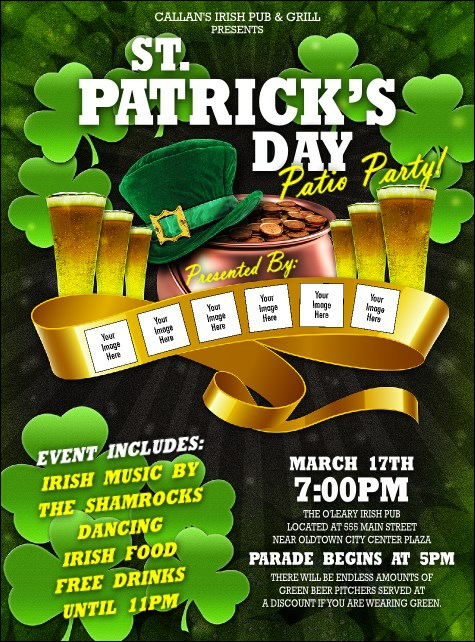 Invite the town to join you for a touch of drink at your favorite pub when you promote your event in advance with St Patricks Day Party Flyers. Each Flyer features room to upload six of your own unique images on a brilliant green background with shamrocks, pints of beer, and a big pot of gold coins. Go green with your pre-event promotions at UK Ticket Printing.